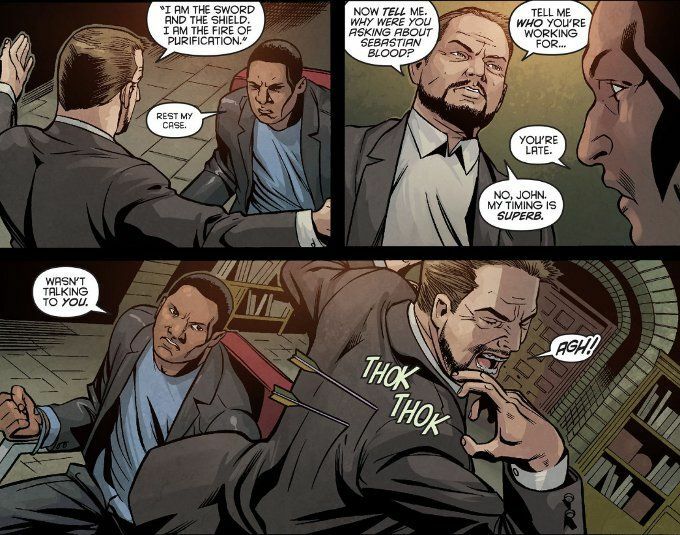 The main portion of Arrow: Season 2.5 #6 is high on action and short on plot. 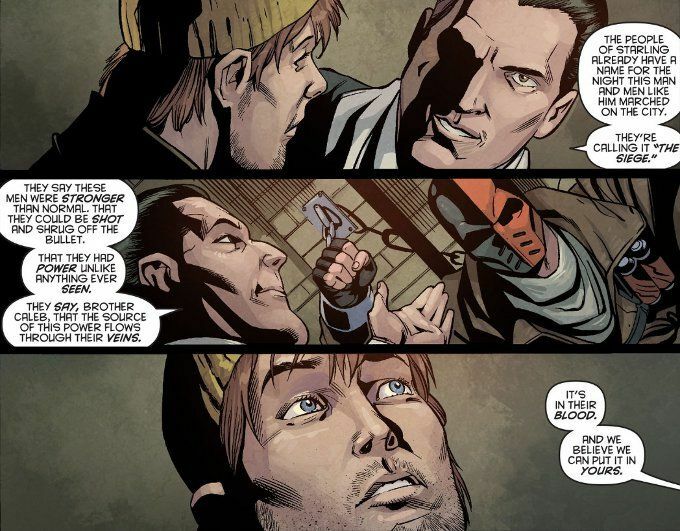 The focus lies upon Ollie and John, fighting to escape the clutches of The Church Of Blood. At the same time, The Church of Blood begin the process to convert one of their own into a Mirakuru-enhanced soldier. The script by Marc Guggenheim and Keto Shimizu is up to their usual standard, up until the last page. It is then that we are hit with something that honestly surprised me and things go above and beyond the usual high standard. I won't say what but suffice it to say it will inspire talk regarding a number of fan theories about the story-line of Season Three. Sadly, the Suicide Squad page this week is a little lackluster, serving no purpose other than to let us know that Amanda Waller is more concerned about punishing the wicked than saving the innocent. This is not exactly a newsflash to any fan of the show or the comics who has been paying attention. It's unclear why this scene is necessary beyond showing Lyla Michaels' growing discomfort with her job. Still, the artwork is as wonderful as ever. Joe Bennet is a wonderful fight choreographer and the action scenes in the main portion of the comic are well laid out. And Szymon Kudranski adds his usual shadowy aura to the Suicide Squad back-up.